Rooting an android device in past was not an easy task you have heard that many guys use to brick their phones while trying to root or unlock it, but as the time passed now it is really becoming easy to root an android devices. It has become possible because of hard work of developers who are always trying to create better, easier, stable and faster methods of rooting an android devices, so now even a newbies can also root their devices and can gain superuser rights on their devices. 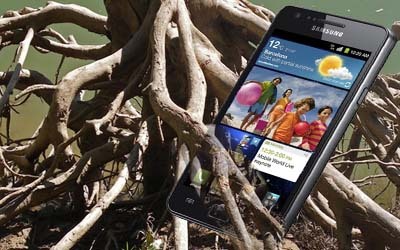 So here is how to root Samsung Galaxy S2 GT-I9100 running Android 4.0.3 ICS ( XWLPG firmware ). To root Galaxy S2 you will need a pc running windows, necessary Drivers, Odin, XDA Developer Chainfire’s CF-Root Kernel and few minutes of your valuable time. Do it at your own risk we will not be held responsible for whatever happen to your phone.It is provided only for instructional and educational purposes. Samsung Galaxy S2 running on Android 4.0 ICS (XWLPG firmware). If not update it first to required version. Backup all your important data from your phone. A pc running on windows and loaded with proper required driver. You can get this driver if you have kies cd that is provided with your device else you can download it from device manufacturar site or from here 32-bit (x86) Windows | 64-bit (x64) Windows and install it before proceeding. You will need Odin 1.85 (Odin 1.85.zip ) and CF-Root Kernel (CF-Root-SGS2_XW_NEE_LPG-v5.5-CWM5.zip) download it on your pc and keep it safe. Now Turn off your Samsung Galaxy S2. Reboot your Samsung Galaxy S2 in Download Mode. to enter download mode press and hold Volume Down, Home, and Power key together. You will get a warning massage saying. Press Volume Up to continue to enter Download Mode press volume up. Now on PC lunch Odin3 v.1.85.exe by double clicking it and it will lunch Odin3. In Odin3, click the PDA button and navigate to to the location where you have extracted CF-Root-SGS2_XW_NEE_LPG-v5.5-CWM5.tar file and select it. Rest odin setting mast remain same. Now connect your Samsung galaxy S2 with you will revive a message on lower left message box of Odin3 window Saying "Added" which means now your phone is connected wit your PC. If you did not revive any message disconnect your phone from PC and re-install the drivers on PC again.. If your phone got connected successfully hit start button on Odin3 to begin flashing the CF-Root Kernel to your device. When flashing is complete successfully, your Samsung Galaxy S2 should automatically reboot. Disconnect your phone when Samsung logo appears on your phone screen. In case an error occur disconnect your phone from PC remove battery and then re-install it and begin to repeat again from step 4 of instruction section.